Each and every the web produces some of the best April Fools jokes across the globe, some go all out and create fantastic often highly involved and well thought out pranks. Let take a look at the top 8. An Australian specific Google April Fool’s joke this explores their new fantasy product for Aussie Rules Football. Lets users track their stats by using the gBall™ with inbuilt GPS & Accelerometer. A classic little “digg” at a competing site, reddit rebranded their website to a hilarious reddigg to match that of digg.com layout. The popular sitepoint website announced that due to several reason’s the internet will need to be rebooted to help increase stability and hopefully decrease spam. Smashing Magazine got breaking news of the soon to be released Internet Explorer 8.1 with fast improvements including support for Firefox extensions! 4. Microsoft requests a bailout package. 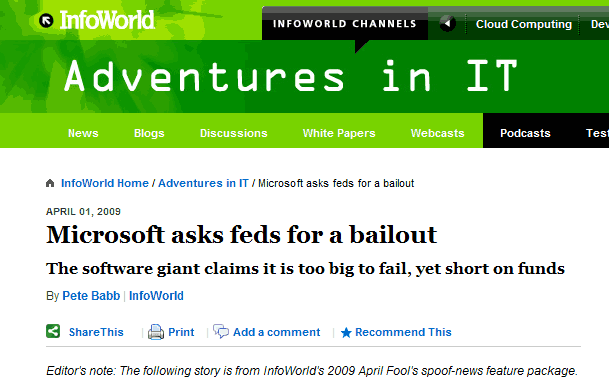 Troubling times ahead, Microsoft is requesting a rescue package of a cool $20 billion claiming they are too big to fail. UK’s The Guardian has decided to switch all its articles to appear exclusively on Twitter. 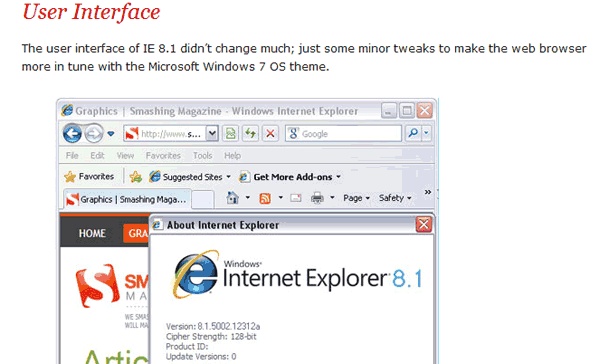 A new campaign to save IE6 was launched arguing that IE6’s longevity is a clear sign everyone should still be using it. 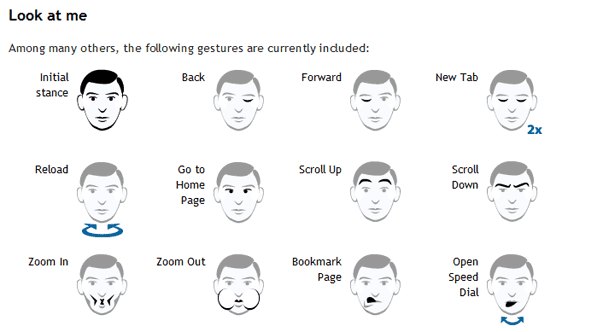 Opera announced a new feature for their browser that would enable people to navigate through websites via facial gestures.